So recently at the garden center I had started to notice some overnight destruction of some of our plant products. Mostly the flowering cabbage and kale used for fall patio pots. It didn’t take long before the biggest woodchuck I have ever seen crossed paths with me one day! 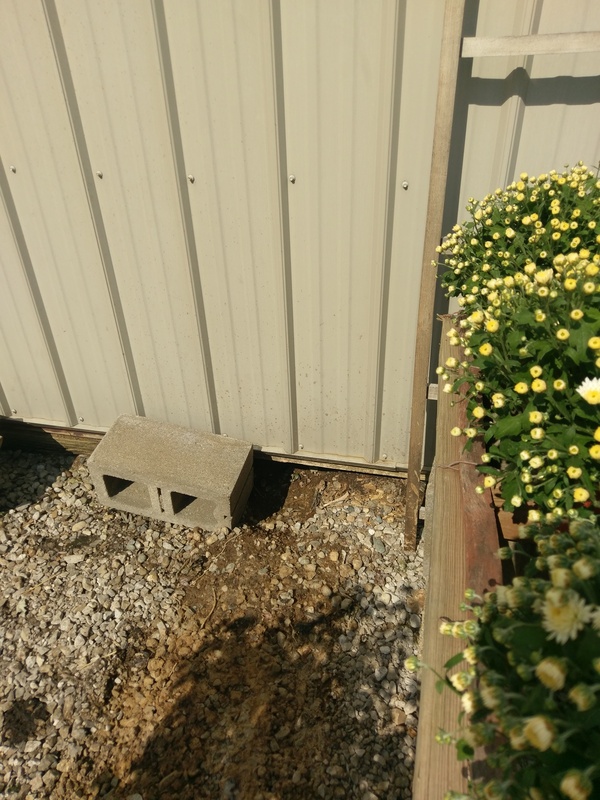 Upon further inspection I noticed the chubby beast had started to dig under one of my greenhouses. So we blocked the hole in hopes of detterring it only to see the next day that it had created a new entry right next to the blocked one, lol. 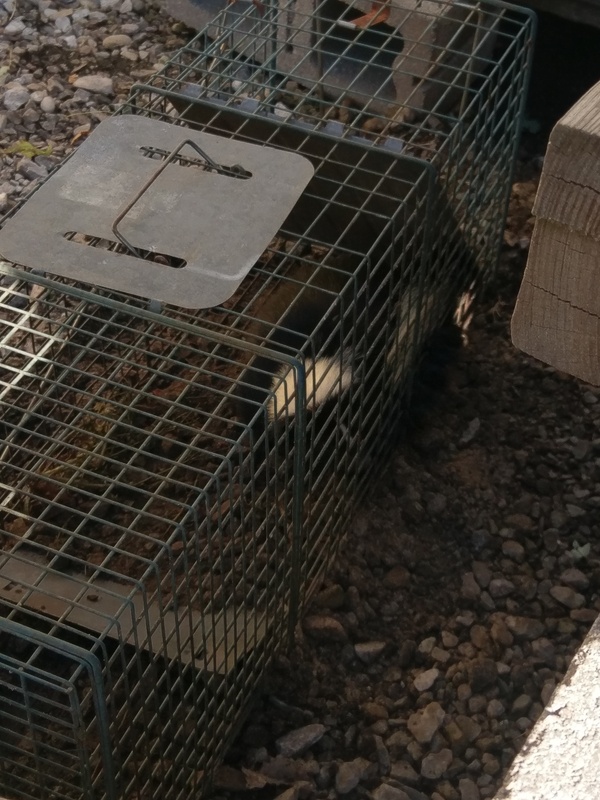 While outside discussing how to proceed with project woodchuck a regular customer stopped in and offered to bring us some live traps to help us remove our fat little friend. 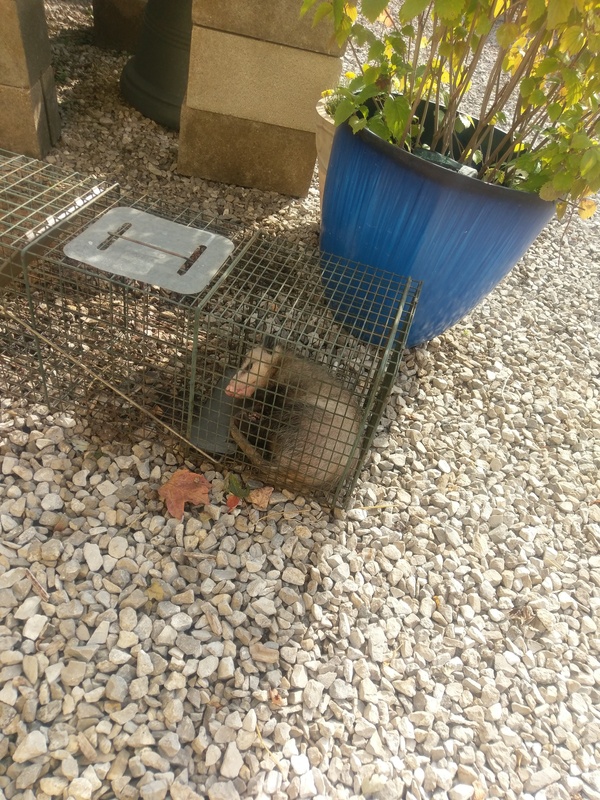 We happily accepted and he dropped off three traps later that morning. Like magic the next morning we were very pleased to find one VERY large woodchuck! 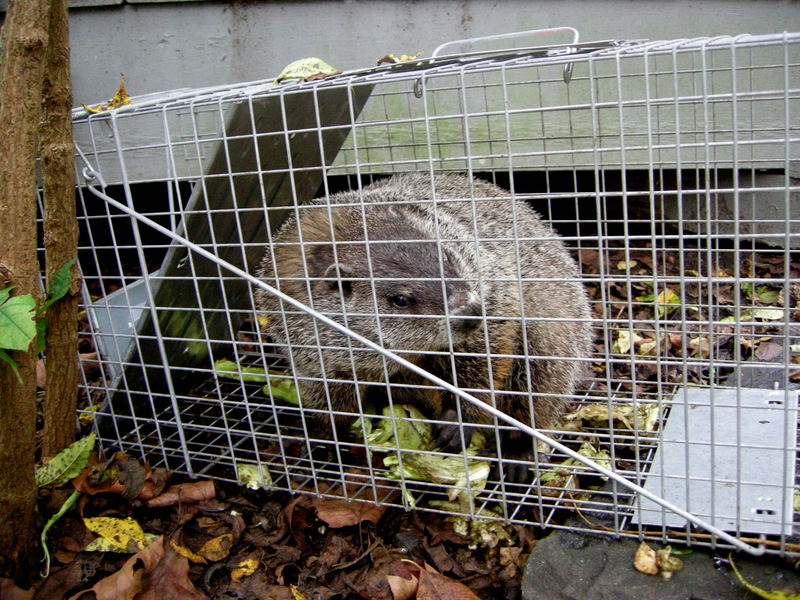 We sent him off to a happier home, and reset our trap in case there were relatives still to be had. We called George and came and took care of it but not before a healthy dose of skunk stink was released on my garden center….let’s just say it was a very long day of work…my sinuses are still burning! Another day goes by no excitement and then this morning well why not…a possom!! I’ve got myself a native petting zoo over here folks!! All I need now is a raccoon and my collection will be complete! Hope your week is rodent free! Thanks for reading! I’m going to need a bigger trap for that one I guess!! What a sweet little chap he is…don’t believe we have them un the UK, though my Labrador Dudley might try and sniff one out.